Social media is all the rage. From Twitter to Facebook to LinkedIn, everyone absolutely adores the potential social media promises. However, can social media actually produce tangible results for your firm or company? I think it can, but not in acquiring new clients or customers because we have yet to figure out how to do this in a cost and time-effective manner. Experts may disagree with me, but I stand by my principles. Of course, hundreds of thousands of new customers are just waiting to be found through social media, but a proven, repeatable methodology has not yet been established. The big knock on social media is that it’s a time drain. From Twitter to blogging to everything in between, who has the time? Well – you do – if you’re smart and strategic about how you use, promote and evaluate social media. What you want is maximum return from a minimal time investment. Here are some ways to do that and gain exposure for your firm or company. If you don’t yet have a profile established on LinkedIn and Facebook, you should set one up on each platform. Note that these two links, as well as the one below for Twitter, are the links for Chrometa’s pages. Traditionally, LinkedIn is used for business purposes; Facebook for personal connections. However, these traditional roles are blending by the day – as our personal and work lives merge. So, I’d recommend setting up a personal profile on each. Once you have a profile set up, the next thing you need to do is “connect” with your clients on these platforms. This is pretty easy to do – these networks were both built on the viral process inherent in inviting people you know to “connect.” You can even use your existing email address book to search for initial connections. When you land a new customer, the first thing you should do is connect with your contacts within the company. In addition, be sure to include the links to your LinkedIn and Facebook profiles in your email signature so that others can find you as well. Some companies and firms have established business pages on Facebook, an excellent way to maintain an identity that is not connected to an individual. Business pages are easy to set up, but be careful not to slip into complacency; you want to be sure these pages are updated on a regular basis. While you may initially be hesitant about connecting with clients on social media because of the platforms’ reputations, understand that social media is very mainstream and accepted as a way to communicate. However, it is not without its flaws. There are cases in which Facebook accounts have been hacked into. Fortunately, the experts who run Facebook have been very diligent to ensure they provide the guidance you need to secure your information. However, you must manually secure your page by going under Account Settings, then clicking on Change Account Security and checking the box that says, “Browse Facebook on a secure connection (https) whenever possible.” Remember, your e-mail can be jeopardized just as easily and there is risk everywhere. Yet, you shouldn’t scrap your social media efforts just because you are worried about security. You may be wondering about Twitter. I think the noise level is still too high to be used for this purpose. Sure it can be effective, but given the intimidating complexity of Twitter, regular usage of it still has not cracked into the mainstream crowd – and I’m not sure if it ever will. However, if you’re very savvy with social media, feel free to integrate Twitter into your efforts. I think you’ll be fine either way. You have a lot of expertise floating around in your head, so much that you might not realize it. Your clients and customers tap this vast pool of knowledge when they meet with you to engage your services or buy a product – it’s the value they receive from doing business with you. If you could share this knowledge with them on a regular basis, in small but consistent quantities, it would further strengthen the regard they have for you. It also may help drive new business from existing clients because one of your posts may trigger them to take action, which would, of course, involve your assistance and expertise. The best way I know to share knowledge and allow others to tap into your expertise in a scalable manner is by blogging. Blogs are very easy to create and cost nothing if you use one of the free online services. Writing as little as one article a week can reap huge rewards for you. Plus, you’re going to generate valuable content for your email newsletter. More on that later. To set up your blog, I recommend WordPress. because of its bells and whistles. Pick the one platform that suits you better. It’s the content that’s important here, not the way you deliver it. Once you have a blog platform established, you’ll want to make a habit of writing a post at least once a week. At first this might be challenging – especially if you’re not in the habit of writing. But, like any skill, the more you do it, the more comfortable you’ll become. Dedicate yourself and keep at it. What should you write about? Really anything you want … anything you think might be of interest to your clients and prospects. The important thing is to write about topics that you are informed and passionate about. Writing shouldn’t be a chore – it should be an enjoyable experience. If you need some ideas, think about the questions that come in from clients and customers. If you took the time to answer a question, why not write a general blog entry about the topic? It very well may be of interest to others, and remember: blogs are searchable on Google, Bing and other engines, so you may very well recruit a new client or convert a prospective customer in the process. When in doubt, ask your connections, clients, co-workers and others what they want to hear about! There is a reason they are paying for your expertise – they think highly of it. There’s a lot that you have in your head that they’d like to hear. Stay tuned for Part 2, where we’ll tackle e-mail newsletters, and using social media to retain clients and convert prospects. 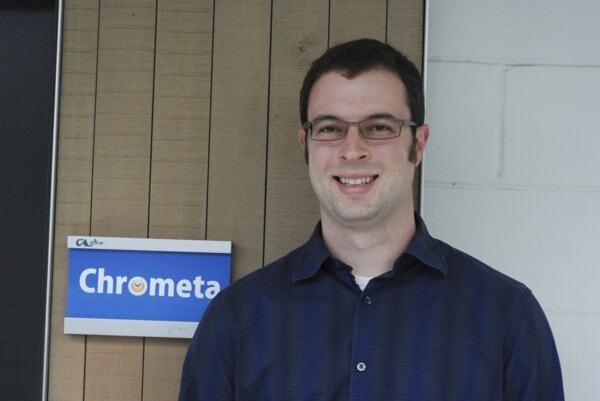 Brett Owens is the CEO and co-founder of Chrometa, the only 100% "passive" timekeeping software for entrepreneurs and small businesses. Chrometa captures every minute you spend on your PC (and/or Mac) down to the minute, so that you can create billable time entries for your entire day easily and accurately. Plus, it tracks phone calls and text messages from your smartphone too — so that you can get paid for your mobile time, too.